Imperial Beach, Brews and Bikes. Bicycling. Green. Eco-friendly. Active. Community. Nature. The newest establishment to hit San Diego Bay and Imperial Beach. With a variety of shops, cafes and all your outdoor activity needs; Bikeway Village is a great place for the whole family to pitstop on your ride around the bay. We are sure you will see all that Imperial Beach has to offer at Bikeway Village! Thank you for signing up for updates on what is happening at Bikeway Village! The Best Stop on SD's 24-Mile Bayshore Bikeway. We are conveniently located on Bayshore Bikeway offering an endless path of scenic exploration on the San Diego Bay. Hit the breaks for a quick bike tune-up or grab a beverage and stay awhile. Coronado Brewing Company will house the 2nd of our 15,000 sf building here at Bikeway Village. Plans include a 7,000 sf restaurant and 10 barrel brewery, along with future distellery. is committed to getting people on bikes, providing the community with quality cycling products, delivering unyielding customer service and being trusted advisors and friends to our clientele. We are powered by passion and are devoted to sharing our passion and knowledge for the sport and the lifestyle to the community. Veteran owned artisan cold brew coffee hand crafted in San Diego. A local favorite, Bikeway Village is excited to have them part of our community. From The Downtown Skyline To Migratory Birds. 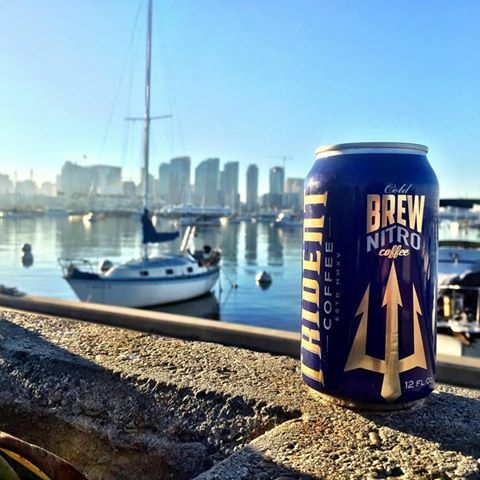 Whether you're riding the bike path or sipping a beer our surroundings offer spectacular views of the San Diego Bay. Don't forget your sunglasses. Family, Friends And Smiles Welcome. Bikeway Village allows you to enjoy good company in a great environment. Take a family bike ride or stop by after a surf...we're here for you.